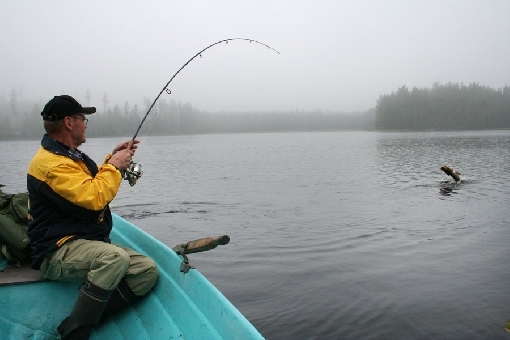 During its second last days plenary session Parliament of Finland approved a new Fishing Act. The Act has been prepared since spring 2008, altogether 7 years. The primary goal of the new act is to help forward natural reproduction of fish stocks. Purpose of law is to create a new regulation system for sustainable fishing and care of fishing waters of Finland that is based on knowledge. With a help of new act the fishing licence system will be simpler in the future and roles of different parties operating in the fisheries field will be clearer. At the same time legislator wants to increase co-operation. The new Fishing Act will come into effect in the beginning of year 2016. Then the fishing licence system will change so that present statutory fishing management fee and provincial lure fishing fee will be joined. Angler who is fishing on lakes and on the coastal waters with one rod and lure will need only one fee; “Kalastonhoitomaksu” that costs 39 euros per year, 12 euros per 7 days and 5 euros per day. With respect to the Fishing Act in the near future there will preparations going on for a new act that includes e. g. minimum sizes and closed seasons of different fish species.